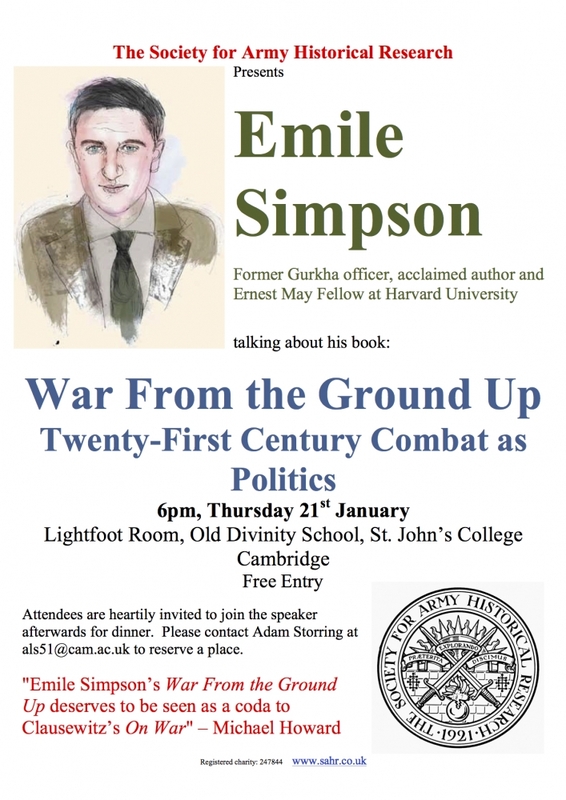 SAHR was delighted to welcome Emile Simpson, who gave a lecture at St. John’s College, Cambridge on ‘War from the Ground Up: Twenty-First Century Combat as Politics’. 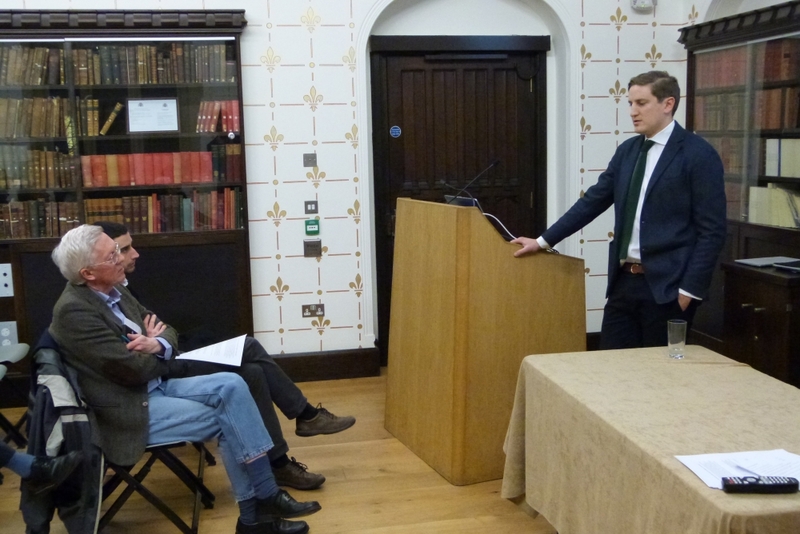 Simpson’s work has been acclaimed by Michael Howard as ‘a coda to Clausewitz’s On War’, and Simpson noted that Clausewitz had assumed a war would be fought against a defined enemy. In networked conflicts, however, the enemy is a series of networks and it is sometimes no longer clear who the enemy is. War becomes a matter of political affiliation, and the aim of such war is to convince people to support your narrative, rather than to destroy them. 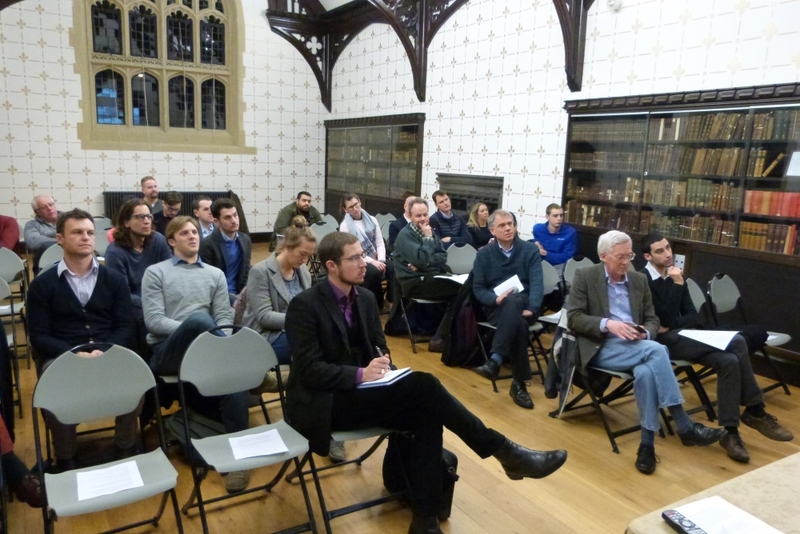 There was a lively discussion with the audience, which included a number of army officers and members of other services. Discussion continued afterwards over dinner.